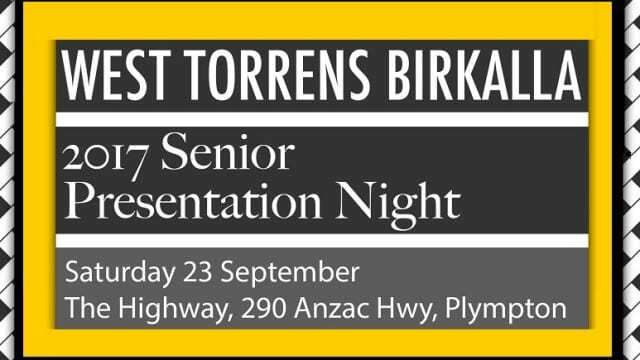 Details have now been released for our 2017 West Torrens Birkalla Seniors Presentations.The event will be held on Saturday the 23rd of September at the Highway, which is located at 290 Anzac Highway Plympton.It will be a great night which will include a 3 course Meal and 4 hours Drinks package. 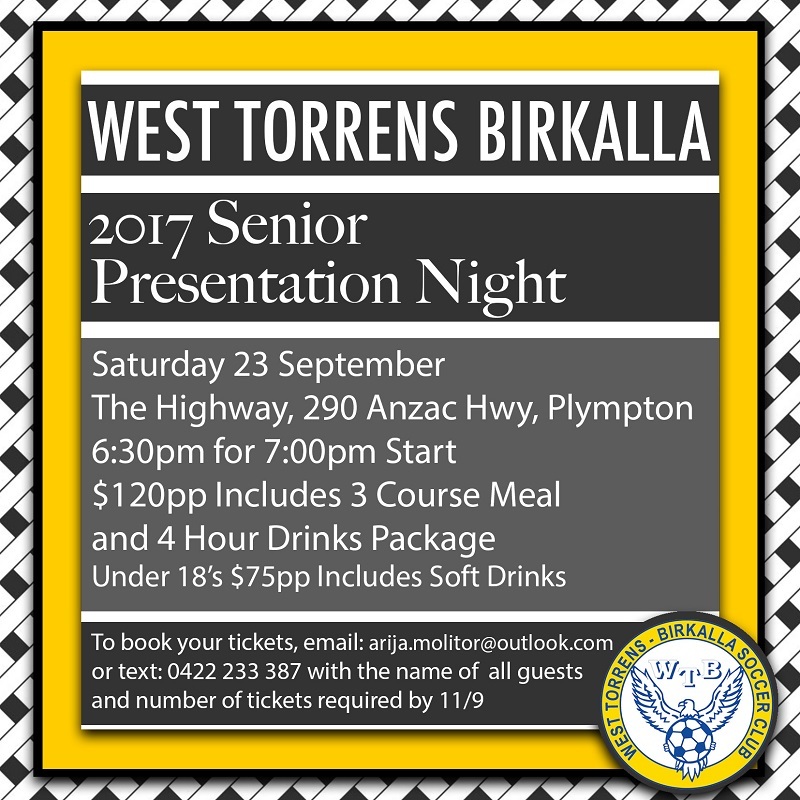 Ticket prices are $120 for Adults and $75 for all under 18’s which will also include a soft drinks package.To book your tickets email arija.molitor@outlook.com or text 0422 233 387. Tickets are strictly limited, so make sure you get in early and reserve your spot before the events sells out.